Posted on November 14, 2016 at 3:18 pm. Niche.com released their rankings of the nation’s top schools and school divisions. APS ranked first in Virginia and the Metro DC area for the second year in a row and 59th nationally. APS is one of two Virginia school divisions in the top 100 across the nation. A high ranking indicates that the district contains great schools with exceptional teachers, sufficient resources, and a diverse set of high-achieving students who rate their experiences very highly. In addition, all APS high schools are ranked in the top 10 in Virginia. The top 10 elementary schools in Virginia are all from APS and all five middle schools are ranked in the top 30 in Virginia. To see the complete rankings, visit https://k12.niche.com/rankings/public-school-districts/best-overall/s/virginia/. The Department of School and Community Relations won 12 communications awards from CHESPRA, the Chesapeake Chapter of the National School Public Relations Association. CHESPRA is the regional chapter of NSPRA, the National School Public Relations Association, an organization of school public relations professionals which strives to build support for education through responsible communication. APS STEM specialists Marcella Park and Pam Nagurka discussed computer science and the APS Codes Kickoff event on Education Innovations a weekly radio program on WERA.FM 96.7 Radio Arlington. The kickoff event will take place at the Arlington Career Center on Dec. 5 from 7-8:30 p.m. This creative, hands-on learning event aims to demystify coding to participants of all ages. The kickoff coincides with Global Hour of Code week December 5-11. Bring your device (Laptop or iPad) and be part of the APS Codes event. Kenmore teacher Jeff Wilson and Nottingham teacher Sarah Zoller have work featured in a national art exhibit through the National Art Education Association (NAEA). This exhibit will be seen by visual arts education professionals, creative leaders, and students from across the country who visit the NAEA. The exhibit is open to the public from 9 a.m.-3:30 p.m. Monday-Friday at the NAEA offices located at 901 Prince St., Alexandria. 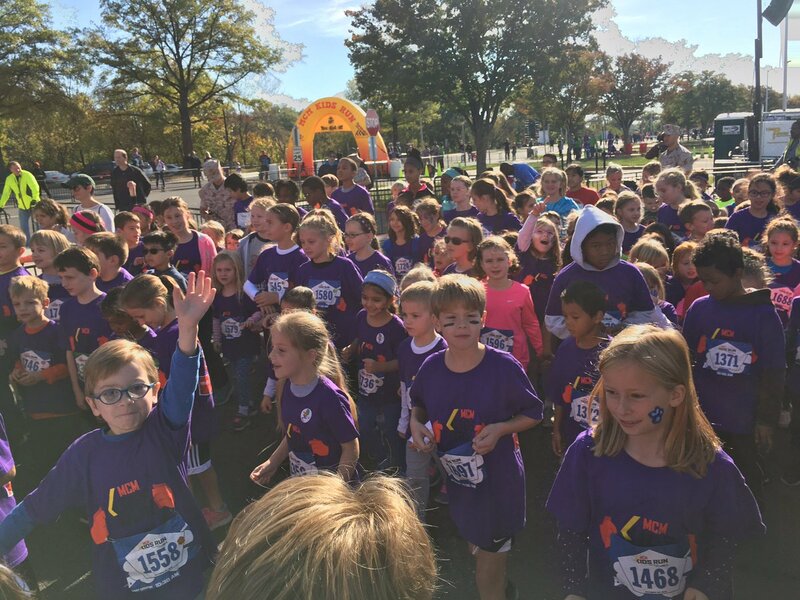 On Oct. 29, parents and teachers cheered on 326 Taylor students participating in the Marine Corps Marathon Kids Run at the Pentagon. Taylor boasted the largest group among all schools that participated in the Marine Corps Marathon Kids Run. As the first place team for participation, Taylor won the Healthy School Award for the second time, which includes a $1,000 grant for physical education enrichment and an assembly on health and nutrition. Physical education teacher SueLynn McAndrew organized the event.